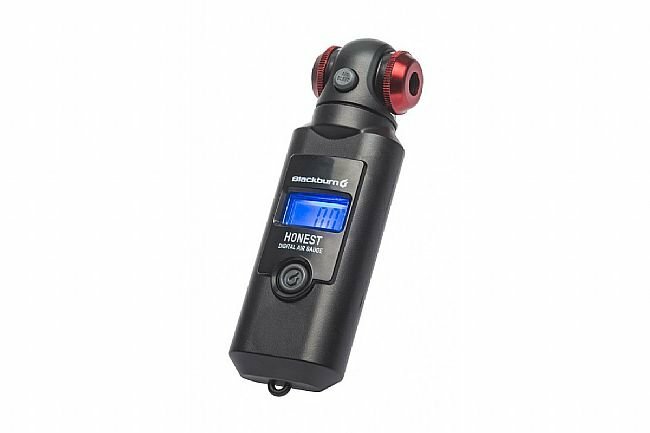 The Honest Digital Pressure Gauge from Blackburn is compact, lightweight, and comes with a frame mount, making it highly portable. 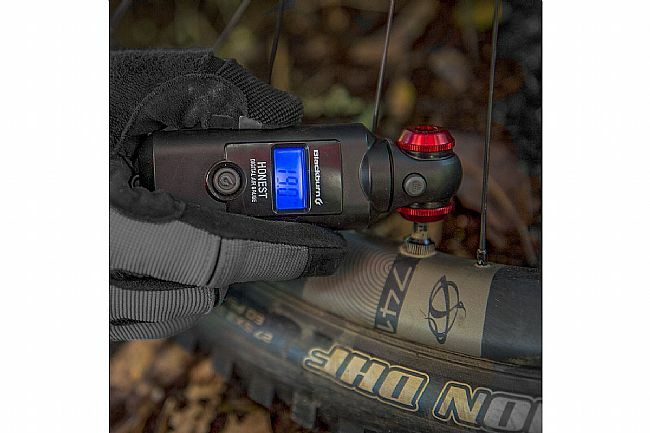 Its backlit display provides super precise pressure measurement - within 1%. Equipped with a swivel head, valve engagement is quick and easy. Accurate within 1% of pressure. Dimensions: 38 x 120 x 25mm (1.5 x 4.75 x 1in). Great gauge for dialing in the lower pressures that make tubeless conversions work to your favor. I like that it has .5 lb. increments for more precision. The audible beep and backlight are nice features too. My only complaint is that the reading isn't updated when using the pressure release button, you have to remove and re-engage for the updated pressure. Otherwise, I would have given this gauge five stars. Doesnt work. Cannot get any tire pressure read out. I would not purchase again. Big difference between digital readings and a floor pump gauge. Im glad I got it.